I have used many wallpapers in my Mac computer but now want to do something different. Through my friends,i came to know that screensavers can also be used as wallpaper.I am trying for the same but not able to do that. Do you know the trick? if yes, kindly share it. Make sure that you type all the code in single line.This is the simplest method but there is a limitation. You will return to the original screen once, closed the terminal window. =) Then press the “enter” from the keyboard. 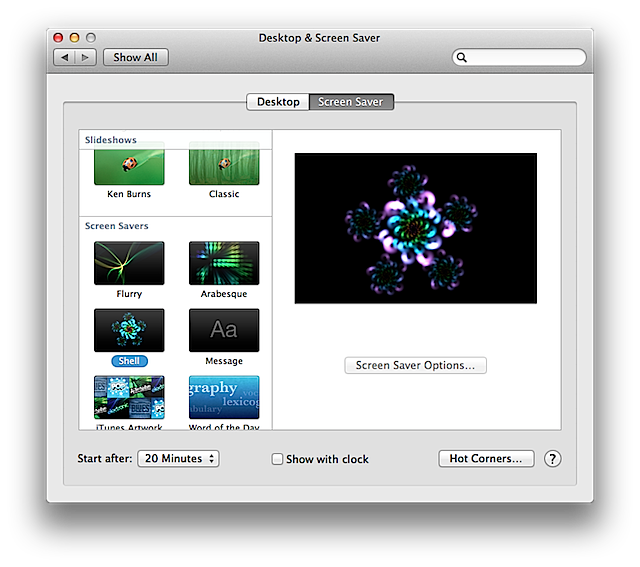 =) Now you able to set the screen saver on MAC desktop. 1. First of all turn on the mac system. 2. Now locate the picture which you want to set as screen saver. 3. After locating select the image and tap the right click. 4. In this options you will see the set as screensaver or wallpaper. 5. So,select and tap the screen saver option. 6. Finally save the settings. >> Than They Appear In The Desktop. >> And Also You Have Download The Many Wallpapers From The Internet. And Use That. Unable to copy pics from Galaxy S3 to Mac desktop? Tips to set up GIF image as the background in Mac?